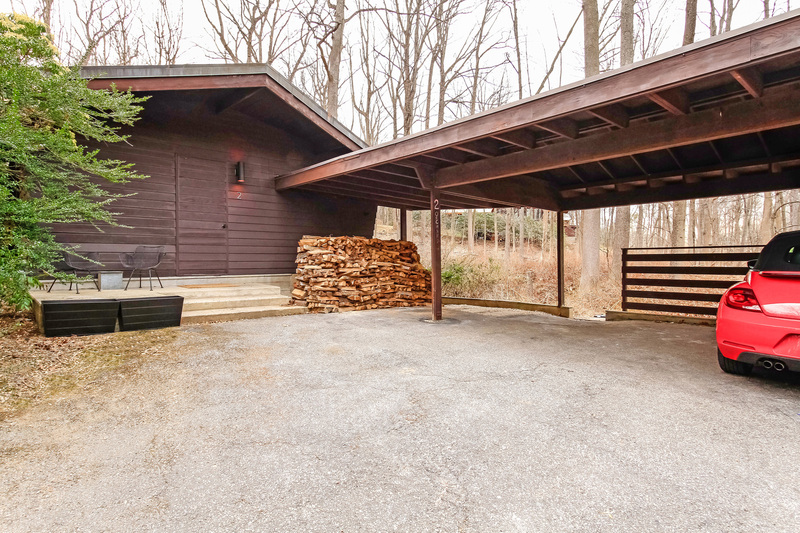 SOLD [MULTIPLE OFFERS]: $875,000 THE TAMLYN HOUSE, ARCHITECT AARON RESNICK. Stunning restoration in famed Usonia! Present custodians-owners introduce wonderful modern amenities throughout while keeping orignal organic aesthetics. Signature Wrightian unassuming approach is accented by a lush natural setting with babbling brook. Dramatic walls of glass welcome family and friends into a wonderful minimilist sensibility. The homes smartly designed modern kitchen with breakfast counter is open to the main social spaces allowing for great gatherings and entertainment. A studio-office room is separated by floating wall and allows privacy while still being connected to main living. The master bedroom with one of two upgraded baths enjoys a prime corner location by the brook. Indoor-outdoor living is complimented further by an original reconditioned blue stone terrace. Live the Usonia lifestlyle in comfort with electrical, insulation, and central air upgrades in this very special home. BY THE NUMBERS: 1,800 SQUARE FEET, 4 BEDROOMS, 2 BATHROOMS, 1.25 ACRES, 1 ARCHITECTURAL BLOCK FIREPLACE, 1 WATER FEATURE, 2 CAR CARPORT, CEDAR EXTERIOR.